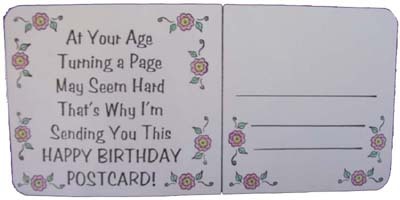 Stamp saying with black permanent or dye ink on a narrow card. Using a ruler, draw lines as shown. Decorate for any occasion.